BART is moving forward with efforts to redesign its train cars, part of its so-called "Fleet of the Future." Recently, the transit agency gave the public the chance to view models of the new cars in-person, and give feedback on the design, color scheme, seat comfort, and other features. One aspect that has attracted significant interest is the bike racks — and this week, BART's board of directors will consider whether the design needs to be altered. Cycling advocates are urging the board not to adopt any design that would reduce bike access. 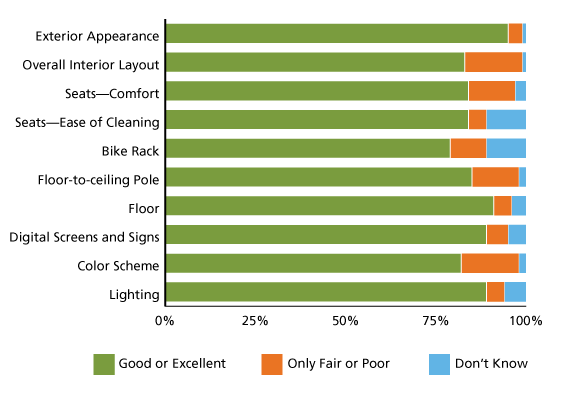 Based on the agency's summary of public feedback, it appears that the bike rack was one of the more controversial components of the new cars, which is why the board is reviewing alternative designs at a meeting on Thursday. BART writes: "The new bike rack elicited a range of comments — from ‘does not provide enough dedicated space for bicycles’ to ‘provides too much dedicated space for bicycles.’ BART’s Board of Directors will be considering various alternatives for the poles and bike racks to meet the diverse needs of our customers." In other words, fewer bike racks means more seats. On Thursday, the board of directors will hear a presentation on public feedback and also vote on design choices for the bike racks and floor-to-ceiling poles (which have also sparked some debate). 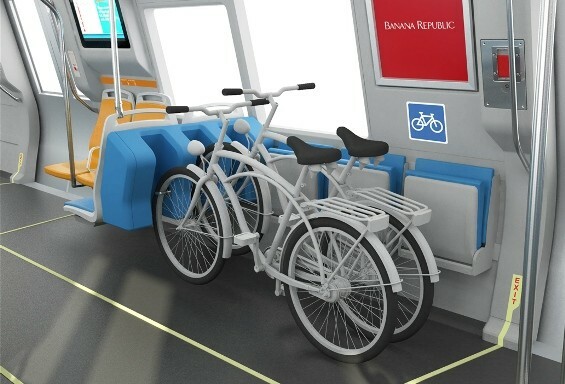 Regarding bike racks, BART is recommending the board stick with the current design (option A), arguing in its presentation that it "provides space on every car for bicyclists to park their bike in an out-of-the-way location" and "helps keep bikes from blocking seats, aisles, and doorways."